If your company’s marketing strategy hasn’t evolved, you’re likely paying a high price for it. Furthermore, if you don’t understand social selling, it will never generate any positive results for you or your organization. 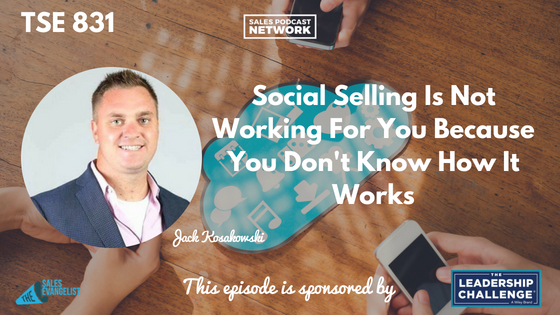 On today’s episode of The Sales Evangelist, we talk to Jack Kosakowski about understanding social selling and why you should embrace the platform instead of fighting it. The biggest mistakes sales professionals make on social media is failing to understand it and take it seriously. Many people assume they understand social media, when in reality it’s much like other aspects of sales: it requires training. 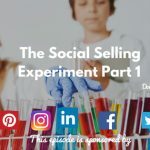 In many cases, sales professionals are treating social selling as another form of marketing when, in fact, it’s actually a new way of selling. They aren’t creating content that people care about, and they aren’t posting consistently. There’s a lack of caring and no outbound engagement. In a phrase, there’s a failure to build relationships. Jared Easley recently shared the importance of being a noticer on social media. Being a noticer begins with using social media as a tool to capture people’s attention. It’s about attracting people’s attention before they even realize they have a need that you can satisfy. Instead of employing the old technique of “cold calling,” you can use social media to connect with people and grab their attention long before you initiate a sales conversation. Instead of jumping straight to the sale, begin by letting them know that you exist. Social media can help you have the right conversations with people who want to have them instead of having conversations with people who don’t want to have them. It’s a matter of getting the right attention from the right people. Sales professionals must let go of their lazy tendencies. 1. Create new content that is hot-off-the-press and industry specific; share it before the CEOs in your industry find it. 2. Use content to create conversations. Use high quality content and include your own insight. 3. Commit to spend 30 minutes a day reading up on the trends in your industry. 4. Diversify your attention-seeking methods. Use different methods to attract different people. 5. Test different kinds of content to see what performs best for you. Different content will attract different people. 6. Dominate your industry. 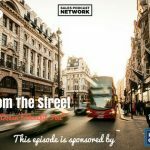 Share information that people can’t find elsewhere.